Energy Lab provides education and training for athletes of all types – from weekend warriors trying to get in shape, to elite athletes at the highest levels in triathlon, cycling, and running. Our primary service offerings include power based cycling classes, triathlon and endurance coaching & education, and group swimming lessons & training. Energy Lab is built for athletes by athletes. Come Learn, Train, and Perform your best with us. Find us at http://energylabatl.com. Bethany is a USAT certified triathlon coach with an M.A. in Health Science/Health Promotion as well as graduate training in Counseling. 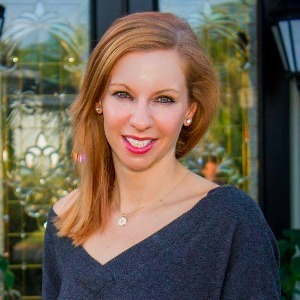 She is one of the Atlanta Tri Club partners and owners of Energy Lab, a coaching and cycling studio in Atlanta, and serves on the USA Triathlon Southeast Regional Council as the Technology coordinator. Bethany has been coaching both individuals and groups in running and triathlon for several years now. She also serves on the USA Triathlon Southeast Regional Council as the Technology Program Manager. She is also a freelance writer, contributing regularly to the training section of Triathlete Magazine, co-author of the recently published 180 Your Life from Tragedy to Triumph: A Woman's Grief Guide and various other publications. Prefer athletes who train with power or are open to doing so in the future. Success. Coach Bethany Rutledge has been notified of your message.